One of my responsibilities at Naxos was content acquisition for the group’s platforms. In just 18 months, Naxos Music Library’s total quantity of content increased from 700,000 tracks in 2010 to more than 1 million tracks in 2012 (+40%). Content now comes from more than 400 labels, up from 200 in 2010, and the service offers major label content for the first time, thanks to a landmark deal with EMI which paves the way for Naxos Music Library to work with all four major labels. Obviously doing all these deals requires identifying potential partners, approaching them with a proposal and closing the deal, but expansion on this scale also required changes to ingestion processes, reporting procedures, server-side infrastructure, content management systems, and pricing controls and strategy. One of my first projects at Naxos was to plan the launch of an iPad app based on the already-successful My First Classical Music Book. With no precedent to follow, we had to devise a sensible pricing strategy and find a way to communicate the value and functionality of a new type of enhanced book product to parents around the world. My First Classical Music App went on to become one of Naxos’ best-selling digital products of 2011. 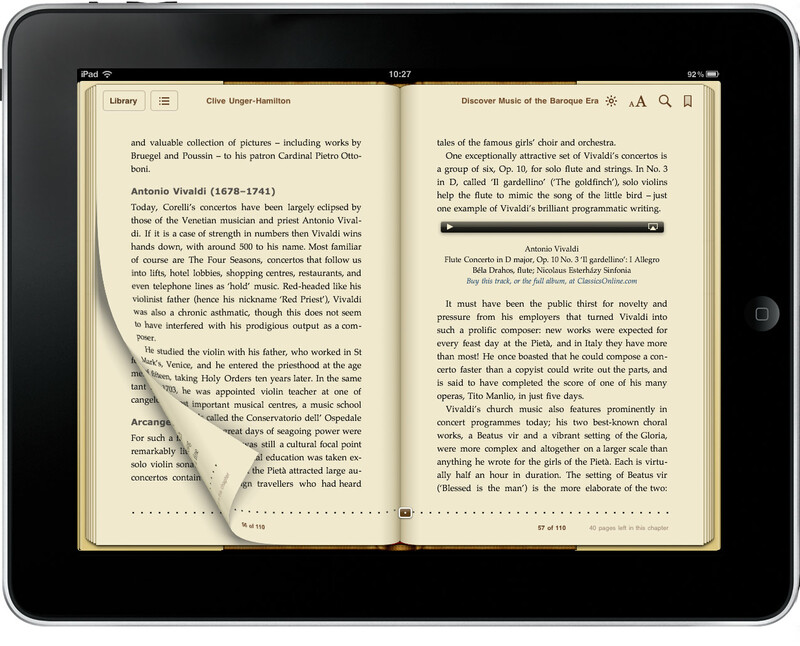 As soon as iTunes announced support for audio content in digital books, Naxos started work on a series of enhanced iBooks, converting existing texts and recordings into interactive guides to classical music, with full-length tracks embedded in the text. I announced the first books in this series at a launch event alongside My First Classical Music App, and a combination of press coverage, email marketing and outstanding retail placement helped to make Beethoven – His Life and Music the #1 music book on the iBookstore. Early in 2011, Naxos acquired the American military music specialists, Altissimo! Recordings. Keen to explore what we could do online with the new catalog, we created a digital compilation for July 4th. Other labels tried similar things. At least one major label released an album at the same price with the same number of tracks and almost the same cover, within 24 hours of our release date. We got the marketing right, though, and our album outsold the competition more than 10-1, putting the album in top twenty of the iTunes chart by the end of Independence Day, generating more than $10,000 in revenue in a single week. 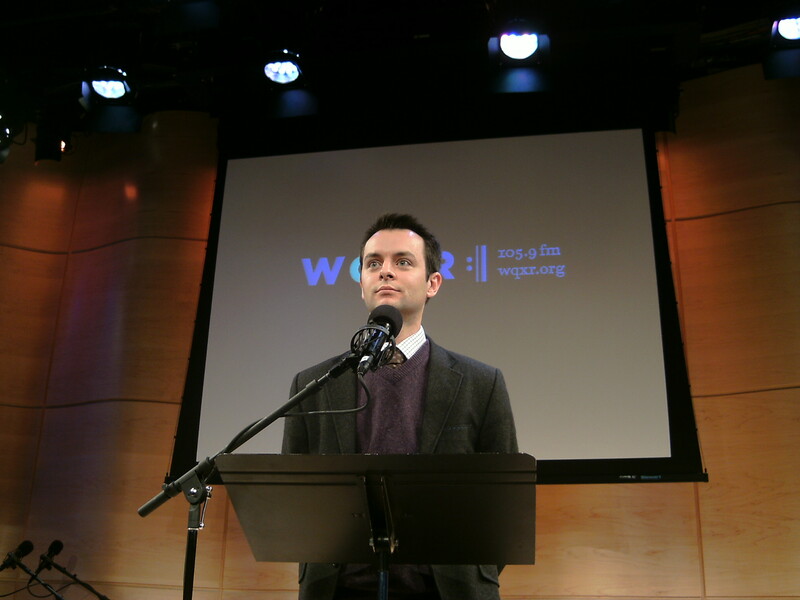 Shortly after joining Naxos, I was asked to give the keynote address for the 2011 conference of the Association of Music Personnel in Public Radio at WNYC‘s venue, the Greene Space. This was a valuable opportunity to reach out to an important group of promotional partners. What to tell them, though? Not knowing a lot about radio, I talked about the future. The title was “10 ways to fake it as a futurist”. You can download a PDF of the talk here.